As Pakistan vs New Zealand T20 series is progressing we are witnessing the power of Pakistani T20 side. Pakistan as already won the T20 series against Australi with a 3-0 margin. Pakistan beat New Zealand yesterday and won this series as well. With this win, they have won their 11th consecutive T20 series. This is a world record. Pakistani performance has been phenomenal and not only their bowlers are good with bowling but also the batting line has shown responsibility. Most of the time Pakistan captain would credit the bowlers for the win but in these series, batsmen deserve the credit. It was a team effort and they have worked together as a unit. New Zealand start was very good and they have given a very good start. Colin Munro & Corey Anderson were among the top scorer from the New Zealand side. New Zealand bowlers were also at the mark but they were unlucky and lost the game. Pakistan on the other side was not only good with bowling but their batsmen have also smashed the New Zealanders. Babar Azam provided a very good start and took no pressure from the opponent bowlers. Babar Azam recently has been very good in the T20 and declared world’s no.1 batsmen in latest ICC T20 international rankings. Pakistan has been testing Asif for quite a time, Though he is not consistent with batting he has the potential to become the power hitter of Pakistan. He has the timing and power required to hit long sixes. We get to see a glance of his hitting abilities in yesterday match. Hafeez was a total treat to watch. Hafiz has been quite aggressive with his bat recently and in yesterday T20 match he has thrashed the New Zealand bowling attacks and show the way to the boundaries. He was not out and smashed a four to claim the victory for Pakistan. 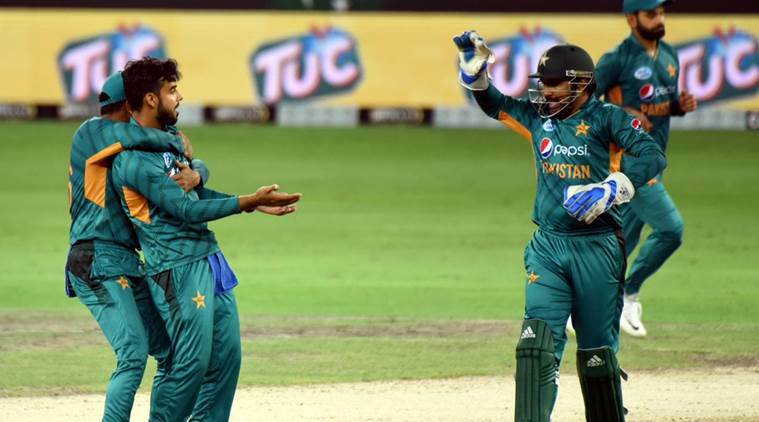 Pakistan will challenge New Zealand again and Wicket Tv will stream live cricket from UAE. Pakistan vs New Zealand 3rd T20 is not only important for Pakistan but also New Zealand. 3rd T20 will decide if Pakistan is able to whitewash New Zealand. Kiwis will try hard to win this game to stop whitewash series.